Transition consists of four curtains which are hung from the ceiling in a motorized rail system. 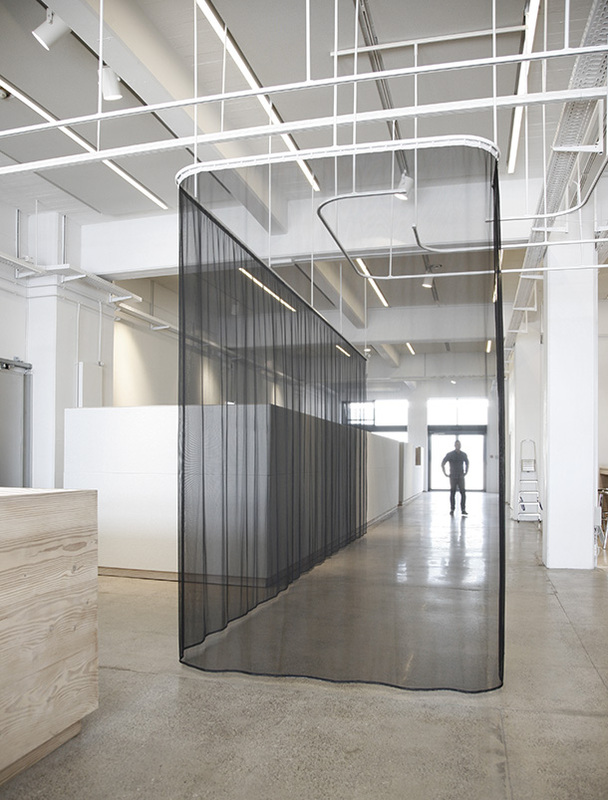 The curtains are made of the transparent black fabric ZULU. 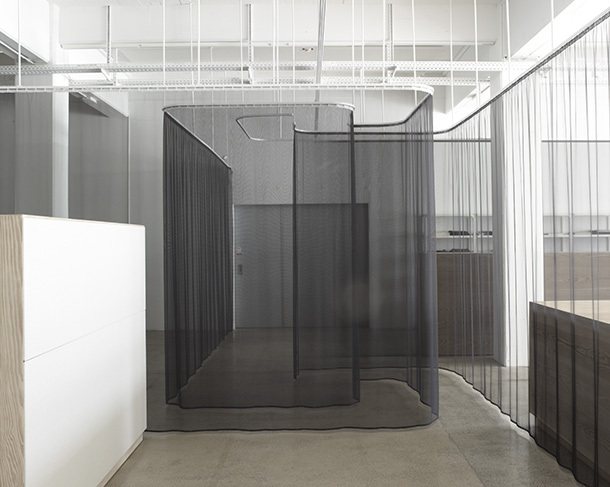 Each curtain is mounted on a separate motorized rail which has a movement sensor attached to it. When a person passes the sensor going towards the middle of the room the curtain starts to move alongside the person until it reaches the end of the rail. Transition is a performative work which transformation is generated by the movements of the people in the space. 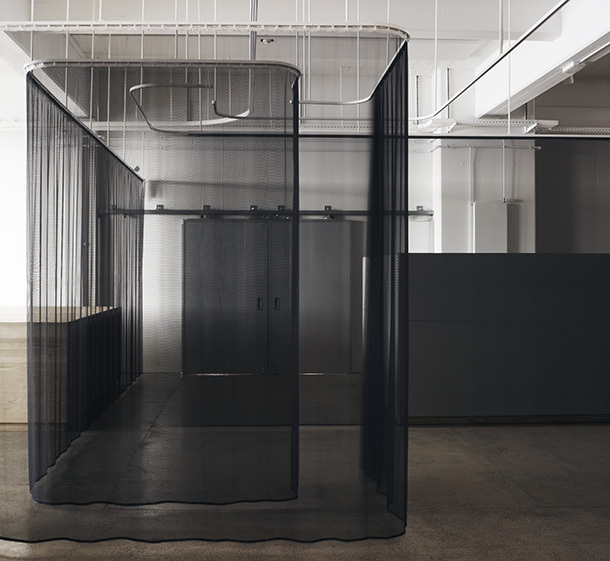 The curtains are stretch out and withdrawn in a continuous flow back and forth creating new spatial constellation within the space. Movements are cut off and dissolved, walls are extended, elements of the architecture disappear and new corridors and temporary spaces appear. 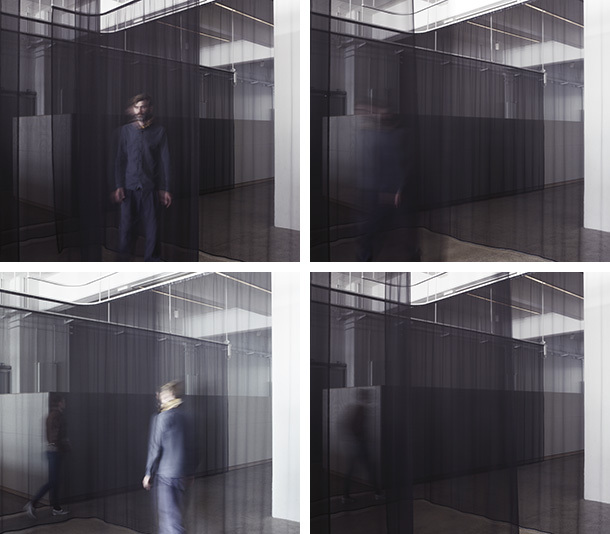 The relation between the subject, the architecture and the work is challenged by the performance of the work thus exploring the phenomena time, space and subjectivity.